Size 50x70cm. (signed & numbered 1/20), sold without frames. “MA:1543” as a project is a homage to the “father of literary Finnish” Mikael Agricola (c. 1510 – 9 April 1557). Abc-kirja, a textbook for teaching reading skills- is Agricola’s publishing debut and also the first book that was ever printed in what we know today as the Finnish language. It was published in 1543. 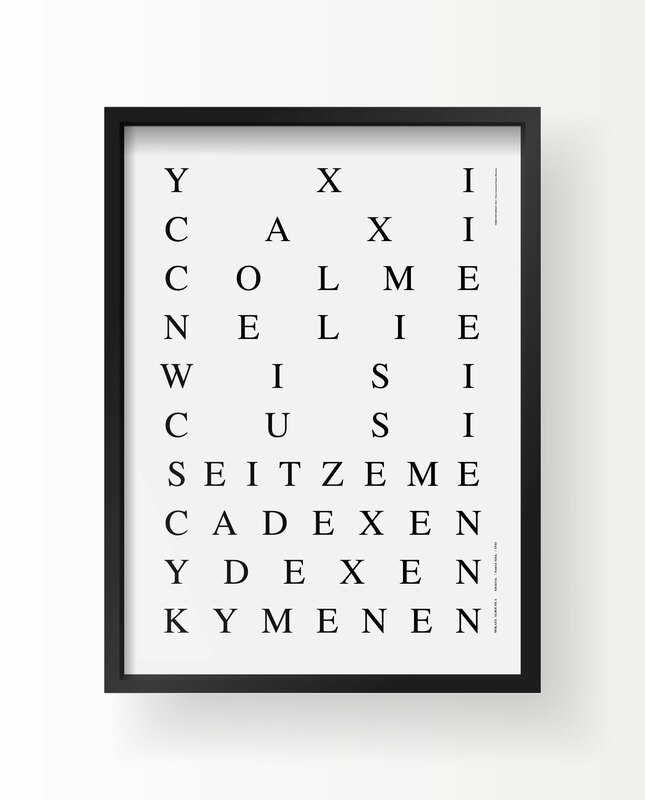 Ancient Finnish words resemble the way foreign languages are written due to the use of letters like C, X, W, Z, visually more interesting but no longer of common use in written Finnish (e.g, the letter X has been replaced by KS, the letter Z by TS etc.). MA:1543 draws inspiration from this early stage of the Finnish written language, specifically focusing on the chapters where numerals are written out as words.